The draw for the second Grand Slam of the season was made on Thursday at Roland-Garros with action set to kick off on Sunday in Paris. 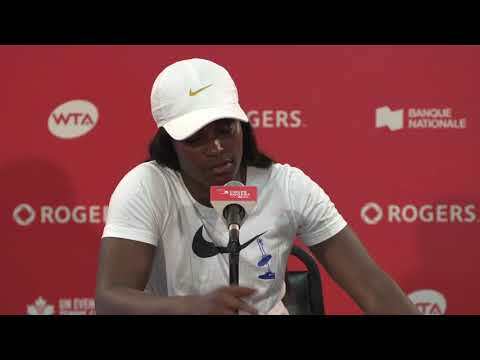 While the best players in the world get ready to tackle the Parisian red clay, here’s how the women’s draw shook down and what we can look forward to over the next two weeks. Many of the top players were forced to skip the French Open in 2017, but this year is a different story as world no. 28 Agnieszka Radwanska is the only top 30 player missing from the draw. The 2013 quarter-finalist has not played since a back injury knocked her out of a tournament in Turkey last month. Not to mention that this is the first Grand Slam since 2016 that features all three of Victoria Azarenka, Maria Sharapova, and Serena Williams. Just like Garbine Muguruza in 2016, Jelena Ostapenko enjoyed a dream run to the Roland-Garros title last year, her first Major crown and her first WTA title won just a few days after her 20th birthday. Ostapenko has not had a great season so far as evidenced by her 12-11 record, but she still reached the final in Miami and was a quarter-finalist in Rome last week. Seeded fifth this year in Paris, the defending champion will open against Kateryna Kozlova of Ukraine and could face Azarenka in round two. The Belarusian, a former World No. 1 and a French Open semi-finalist in 2013, is currently ranked no. 82 in the world as she continues her comeback after giving birth to her son, Leo. Venus Williams (no. 9) and Elina Svitolina (no. 4) are also in Ostapenko’s quarter of the draw. Fresh off her championship run in Rome last week, Elina Svitolina will be one of the favourites in Paris as she continues her quest for her first Major. She has no. 13 seed Madison Keys in her portion of the draw. Petra Kvitova (no. 8) and Caroline Wozniacki (no. 2) both find themselves in the bottom half of the draw. Already a winner of four titles in 2018, including two on clay, Kvitova will be one to keep an eye on for sure as the 2012 French Open semifinalist looks to take take it two steps further and lift the trophy. The Czech will begin against Veronica Cepede Royg and could meet Anett Kontaveit, semifinalist in Rome, in the Round of 16. Kontaveit upset Venus Williams and Wozniacki last week. For her part, Wozniacki is hoping to win her second straight Grand Slam after winning her maiden title at the Australian Open in January. A first Grand Slam for the World No. 1? World No. 1 Simona Halep, a three-time Grand Slam finalist including twice at Roland-Garros in 2014 and 2017, will chase that elusive first Major once again and she is hoping that her run to the final in Rome will propel her in Paris. If the seeds hold, the Romanian could play Elise Mertens of Belgium in the Round of 16. Since the beginning of the year, Mertens has improved her ranking by 20 places notably thanks to three titles and and a semifinal appearance in Melbourne. Germany’s Angelique Kerber and Caroline Garcia of France ranked no. 12 and no. 7, respectively, are also in Halep’s section of the draw. Kerber has never been past the third round at the French Open and lost in the first round last year to Ekaterina Makarova as the no. 1 seed. For her part, Garcia will be one to watch at her home Slam following a solid start to the season. 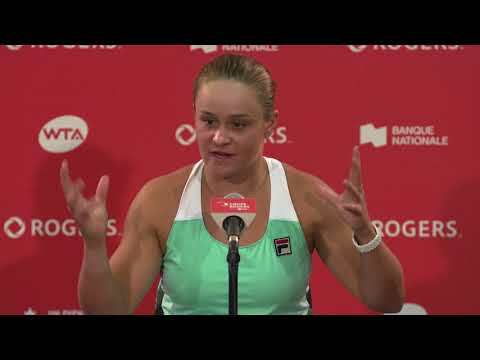 Last year at Roland-Garros, she reached the singles quarter-finals and was crowned champion in doubles alongside her compatriot Kristina Mladenovic. This second quarter promises to be very exciting. 2016 champion Muguruza faces a tough opener against 2009 winner Svetlana Kuznetsova and we could also see Serena Williams and Maria Sharapova clash in the Round of 16 in what would be their first meeting before the quarter-finals in almost eight years since Williams would be is using a protected ranking and is not among the 32 seeds for the first time since 1998 as she makes her return to Grand Slam play for the first time since winning her 23rd Major title at the Australian Open in 2017. Williams will begin against Kristyna Pliskova while Sharapova starts against a qualifier. Karolina Pliskova, ranked no. 6 in the world, will be looking to improve on her semifinal run last year, but the Czech will be in tough with those two great champions lingering in her section of the draw. The 2018 French Open draw is wide open with so many players in contention for the title which will make for a special fortnight in Paris. Enjoy the show!